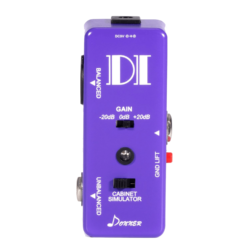 Donner DI box takes a high-impedance, unbalanced 1/4″ signal and converts it into a low-impedance, balanced XLR signal for Direct Input to a mixer. With the DI box, routing your signal direct to a mixer or pro audio system has never been easier or better-sounding. 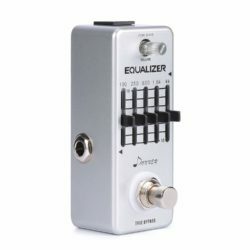 Donner Equalizer Pedal frequency centers: 100Hz, 250Hz, 630Hz, 1.6 KHz, and 4 KHz. No matter what you want, like connecting to a full range pedals or just finely adjusting you tone, you can receive a master volume control of individual frequencies with complete precision from the Donner Equalizer pedal. It is specifically designed for the guitar players, and this five-band graphic EQ features a ±18 dB adjustable gain range per band, which help the players to shape their sound over five specific frequencies in order to preventing feedback caused by additional distorting effects. 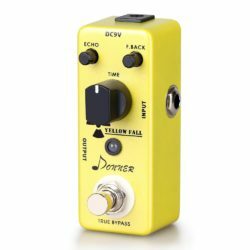 DonnerYellow Fall Delay Guitar Effect Pedal,Pure analog Whole circuit delay,clear,plump and smooth New Delay effect Aluminium-alloy classic,stable and strong. 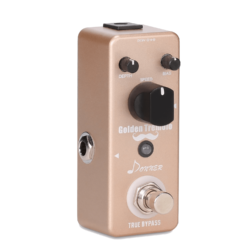 The Donner Golden Tremolo effects pedal offers classic tremolo effects with a huge range of speeds and depths. You can even tweak the color of the sound with the BIAS knob.Dedicated Speed, Bias and Depth knobs allow you to dial in your desired sound . Its full metal casing makes it very small and exquisite, and like most great effects pedals it has true bypass. 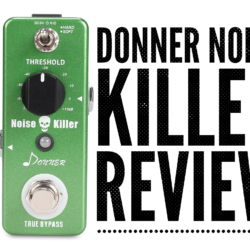 The Donner Noise Killer effects pedal offers 2 Working Modes: Hard/Soft. Hard: Provide hard effect of noise reduction. Soft: Provide soft effect of noise reduction. Its full metal casing makes it very small and exquisite, and like most great effects pedals it has true bypass. 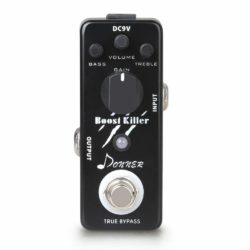 Donner boost killer,clone of Xotic-RC effect pedal,you won’t miss the great sounds!